Kathleen Evans and her husband Steve knew exactly what they wanted in their new overseas home. “We narrowed down our top contenders based on a set of criteria we came up with,” Kathleen says. “It included: see and hear the ocean every day, a stable government, ability to obtain residence, ability to own real estate outright and maybe purchase a business, ease of travel to and from the U.S., overall lower cost of living, and year-round warm weather. 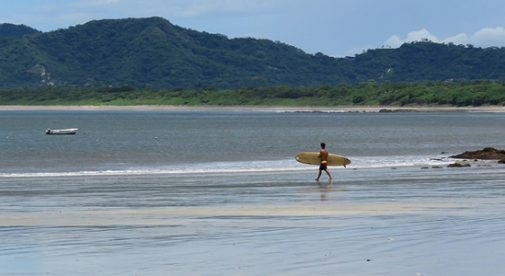 The place that matched all their criteria was the beach town of Tamarindo, on Costa Rica’s Pacific coast, and in 2013 after numerous visits, they made the move from Austin, Texas. Kathleen says the purchase served as a significant enough investment for them to apply for their residence through the Inversionista Program (to qualify, applicants must invest at least $200,000 in commercial or residential property, or a Costa Rican business). But now, rather than spending their days burned out from the demands of corporate America, they have the freedom to live life on their own terms. Kathleen loves the fact that they have activity at their fingertips in Tamarindo. “We love the safety of the beach here. It’s a hub for water activities and sunsets at the beach never get old,” she says.